Commerce and industry minister Nirmala Sitharaman made a strong pitch for greater integration of the South Asian region, even as she underscored the need for speedy implementation of the South Asian Free Trade Agreement (Safta) agreement. 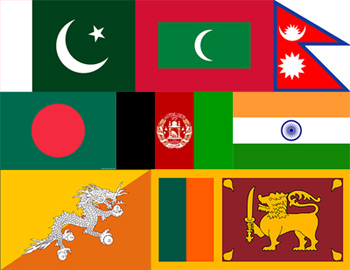 Safta was signed by the South Asian Association of Regional Cooperation (Saarc) countries in January 2004, in Islamabad. Under this pact, India allows duty-free access to goods from Sri Lanka, Nepal, Bhutan and Bangladesh. And, has reduced the ’sensitive list’ it maintains for these countries to 25 items. “The process could have been faster to have a phased tariff liberalisation under Safta…However, four of the Saarc countries have now decided to eliminate tariff on all lines by 2020. India is willing to take asymmetric responsibility towards this goal,” she said at an economic conclave for the region, held here by the Confederation of Indian Industry. The minister said South Asia was the least economically integrated region of the world. Intra-regional trade in goods and services was only $28 billion. According to the World Bank, this can rise to $100 bn by 2020, annual growth of 30 per cent compared to the present five per cent. Sitharaman said the South Asian region had failed to integrate mainly for historical reasons. She stressed on the incidents of partition that made countries in this region sceptical of trade or investment in each other. Earlier during the day, Chief Economic Adviser Arvind Subramanian also addressed the conference where he stressed that India’s neighbouring countries had looked at other countries for trade and not depended on India. As a result he said, SAFTA was unable to offer benefits that North American Free Trade Agreement (NAFTA) offered.